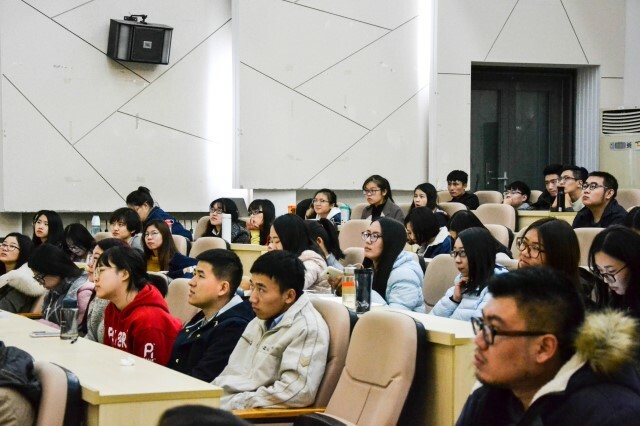 On the afternoon of November 2nd, Blair Kuys, the department head of Department of Architecture and Industrial Design of the College of Art and Design of Australia Swinburne University, was invited to hold a lecture by School of Design and Art, Beijing Institute of Technology. Ji Yong, the Deputy Dean of the school, presided over the lecture with the theme of the Beijing Institute of Technology College of art and design held on the theme of “Research and research skills in industry: success and dilemma—case studies of research guided design practices”. At the beginning of the lecture, Mr. Blair first introduced his research field and his understanding of design. Then, he made an introduction of College of Art and Design of Australia Swinburne University briefly, which focuses on how to put design ideas into practice compared with the design ideas and techniques. In the lecture, Mr. Blair and his assistant, Mr. Nathan, took students and their personal works as examples to illustrate the importance of focusing on engineering details and practical design. Through a successful case and a failure case, they explained the whole process of product development, the co-operation between schools and companies and how to achieve the goals of innovation of an enterprise by design ideas.